Makeup is by no means my thing. I am not good at makeup at all but I still attempt to do it on a daily basis. 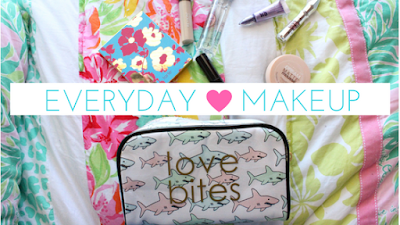 I am going to be talking about the products I wear daily and a few I use quite frequently. Tarte's Happy Girls Shine Brighter palette: I love this palette because the price is very reasonable and I didn't waste my money on a palette that I would only use a couple of colors on. This palette is the perfect size and fits perfectly in my purse so it's great for travel. I love that the colors are all colors I will use and I love that the palette fits perfectly in my hand. Maybelline Dream Matte Mousse foundation: I love this foundation because it's not a liquid so its not thick or heavy. I apply this with a beauty blender and I like that the beauty blender fits perfectly into the pot. This foundation gives really good coverage yet its very light. Smashbox Indecent Exposure mascara: I got the Smashbox Mascara Try It Kit for Christmas and this was one of the mascaras included and I love that it doesn't clump my eyelashes together and it looks very natural on. Revlon ColorStay concealer: I don't use this daily but its great to cover up spots and it stays on well. 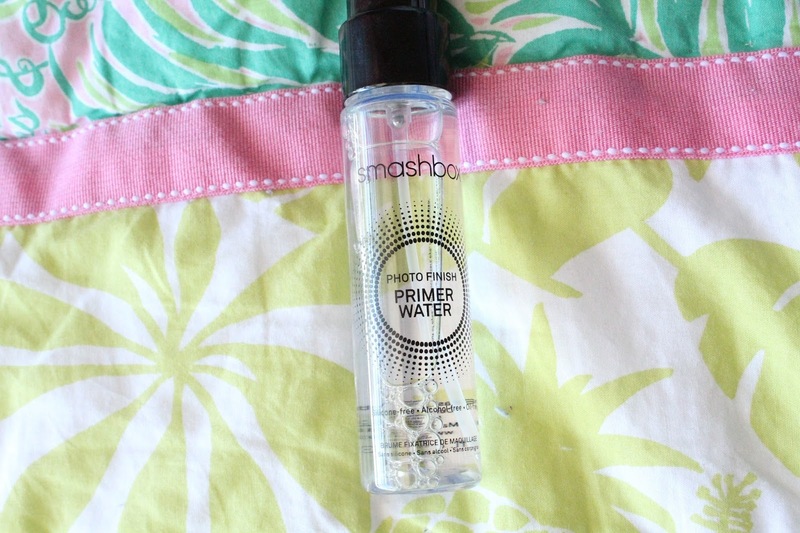 Smashbox Photo Finish Primer Water: I love this stuff! I can really tell a difference when I wear it. You apply the primer water before and after you do your makeup to help it stay on longer. This came in another Smashbox Try It Kit that I got for Christmas. Urban Decay Eye Shadow Primer Potion: This is the sample version I was given when I got makeup for my birthday. This stuff works great! It works so well that if you mess up your eye shadow you can't clean it off. I don't wear this daily, just on occasions when I think my makeup will wear off. Benefit Gimme Brow: I used to use this daily but I don't any more. The brush applies a lot of product and I typically don't have a ton of time to mess with my eyebrows before school. The only thing I really don't like about this product is that it only comes in three colors and they are all a little too dark for my eyebrows. But it is great if you have darker hair and is an easy way to do your eyebrows. I think I would enjoy this product a lot more if they made more colors. So those are my daily/frequently used makeup products. I need a better concealer and beauty blending sponge. I have just been to lazy to buy something. If there is one thing I have to have its lip balm for the lips. Dry lips is a no no for me. What lip balm do you use? My lips are always dry and I have only found one lip balm that actually works and it's hard to find in stores. The Primer Water sounds awesome! I need to try it out. My favorite makeup product is definitely the Naked 3 eyeshadow palette! Lots of neutral and pink tones. Yes, the Primer Water is fabulous! It's so light on your skin. I love the naked palettes too, I'm thinking about buying one soon!